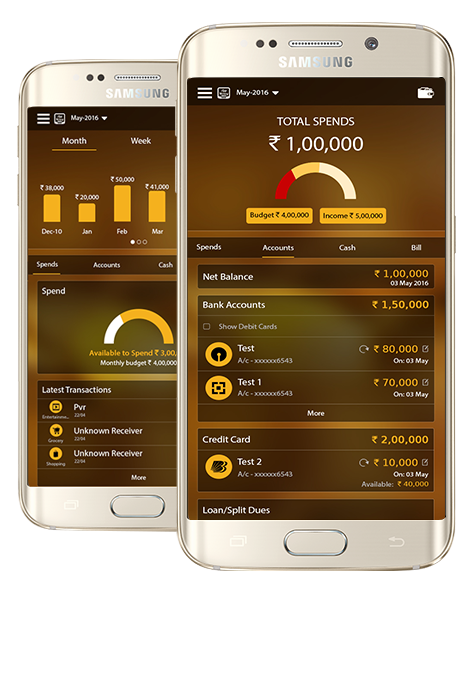 AppMoney is a Money Manager Application which works on Android platform, serves all the financial needs for instance tracking your earnings and spends, various kind of recharges and bill payments, setting the monthly budget and many more. It acts like your personal daily expense manager, where you can easily track your every expense detail through user-friendly graphical representations. You can easily curb your expenses and spends according to your set budget. This would be an effective way to manage your earnings well so that you could spend wisely and save accordingly. AppMoney does it all! From managing all my accounts, it controls msy spends. Awesome app! I found this app very much useful as it keeps track all my financial transactions in an efficient way and it really made me go paperless when it comes managing the money. Kudos! It provides the summary report on a monthly basis which describes where and how did I spend my money and that is one of the best features of this app I found. AppMoney has the user-friendly platform for recharges and bill payments. I found making all such transactions hassle-free.